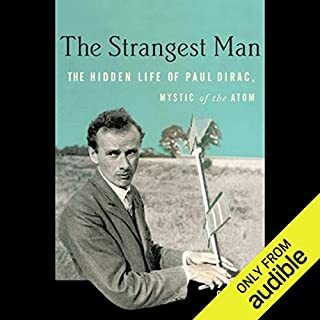 Paul Dirac was among the great scientific geniuses of the modern age. One of the discoverers of quantum mechanics, the most revolutionary theory of the past century, his contributions had a unique insight, eloquence, clarity, and mathematical power. His prediction of antimatter was one of the greatest triumphs in the history of physics. Robert Oppenheimer was among the most brilliant and divisive of men. As head of the Los Alamos Laboratory, he oversaw the successful effort to beat the Nazis in the race to develop the first atomic bomb – a breakthrough that was to have eternal ramifications for mankind and that made Oppenheimer the “Father of the Atomic Bomb.” But with his actions leading up to that great achievement, he also set himself on a dangerous collision course with Senator Joseph McCarthy and his witch-hunters. In Robert Oppenheimer: A Life Inside the Center, Ray Monk, author of peerless biographies of Ludwig Wittgenstein and Bertrand Russell, goes deeper than any previous biographer in the quest to solve the enigma of Oppenheimer’s motivations and his complex personality. One of the BEST biographies on Audible!! Based on new archival material and exclusive interviews, The Last Man Who Knew Everything lays bare the enigmatic life of a colossus of 20th-century physics. A little extra effort in researching the correct pronunciation of foreign names, locales, etc, would add to the listeners’ experience. Otherwise, well done! Commendable reading! This is a good book about a scientist who truly changed the world, Enrico Fermi. Sometimes called the father of the atomic age, he rose from a stable middle class environment in Rome--not a real hotbed of science at the time--to become one of the world's great physicists. This book presents a comprehensive treatment of his relatively short life (he died at 53). This is a book that can be read a multiple levels. There is a certain level of science in it, but it would probably be overly simplistic for those who have studied physics. There are parts of it that are challenging for a non-scientist such as myself to follow in detail, but the author is really good at explaining the gist of why certain events are important. The story moves well and does not get bogged down, even though it is rather lengthy. The book provides a very good study of the man. Fermi comes across as an outstanding colleague, particularly in his later years. He had many friends and admirers. He did not just plant himself in his laboratory. He insisted on having lunch (apparently for about two hours) each day with colleagues. He liked to hike and swim. He was quite athletic. He was a good husband, perhaps not as good a father, but rather typical for his time. I think the book provides a good--and sympathetic--treatment of Fermi and the scientists who were involved in the Manhattan Project. It is extremely easy to criticize them from the space of nearly 80 years. It must be remembered that most of the scientists had immigrated from a Europe dominated by Nazi Germany. Many had worked at German universities. Germany was the epicenter of physics in the 1930s. So they had personal knowledge of the abilities of German scientists, and considerable concern about them developing an atomic bomb. Einstein himself signed a letter to Roosevelt that led to the start of the project. The book covers all of this in great detail, and allows the reader to draw his or her own conclusions. The narration is very good. Definitely worth your time if you have any interest in the subject. Excellent overview of the the life of a great scientist. Better than the Pope of Physics book. Good discussion from primary sources. What made the experience of listening to The Last Man Who Knew Everything the most enjoyable? I enjoyed the book very much. The details about the Fermis, the speculation of the author is useful and guarded, and the narrator was nice. There was some bad editing or something which made the audio in the last part of the book jump repeat. 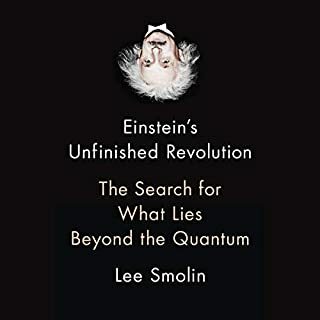 This is a most unusual biography, revealing so much about how physics and scientific research work and what it is like to participate. It also accurately describes the unusual educational and research environment at the University of Chicago (my alma mater). I really enjoy science and technology history. This biography I loved. 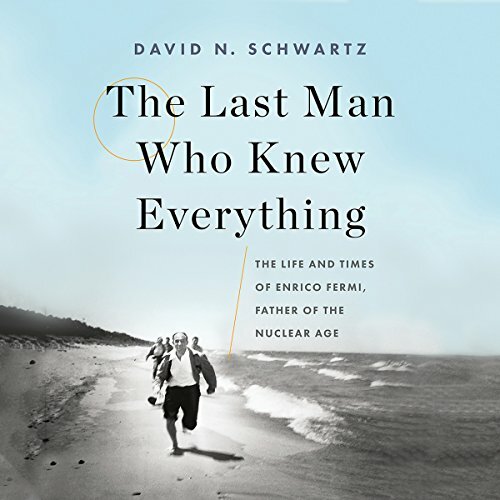 "The Last Man Who Knew Everything" made me very sorry I wasn't born soon enough to personally engage with Erico Fermi. His Nobel Prize for Physics is only the tip of his iceberg of contributions. He won the prize at the age of 37. The Prize was awarded for his paper; "Demonstrations of the existence of new radioactive elements produced by neutron irradiation, and for his related discovery of nuclear reactions brought about by slow neutrons". Those principles led to his project developing the first atomic pile which supported a sustained nuclear reaction In November of 1942. I was honored to meet several of Fermi's contemporaries who also great scientific talents of the of the 20th century, including Edward Teller, Richard Feynman, and others. I believe, those meetings would all pale in comparison with even a brief relationship with Enrico Fermi. I have visited the giant accelerator named after him. His aura surrounds the place, in spite of it being founded and constructed long after his death. If you look up "Enrico" on Wikipedia his Enrico Fermi is at the top of the list, as it should be. There, you'll see a rather small article which doesn't begin to describe his contributions to science, specifically physics. It does nothing to impart the greatness of his being and personality . A truly humble man, most willing to share or even give away the credit for great ideas and great developments. Listen to this account, and you will hear much more detail about the PEOPLE as well as the accomplishments. I think you'll be hooked. If Enrico wasn't a hero to you before you listen, afterwards you'll wonder why Enrico isn't FEATURED as a genuine hero of the 20th century in our schools. He may even have contributed more to mankind than his code-word name-sake for the Manhattan Project, the "Italian Navigator", which of course referred to his fellow Italian explorer, Christopher Columbus. 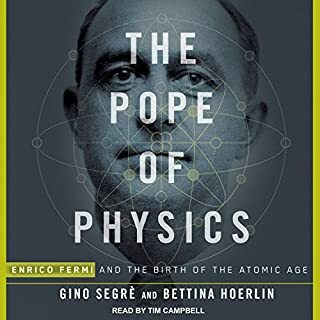 This is a highly listenable book about one of the 20th Century's greatest scientists, Enrico Fermi. It is strange that he has been "forgotten" in a way that Einstein and Oppenheimer have not, because his work on the inner workings of the atom and how nuclear decay happens are key to how the atomic age and bomb came about. Fermi was well-loved and an excellent teacher - his personality comes through in this book, and I wish there were more teachers and scientists like him around today. There is a fair amount of physics in the book, explained clearly, though it may be a little difficult for someone who has no science interest. I am not a physicist and therefore did not know his contributions prior to listening this book. 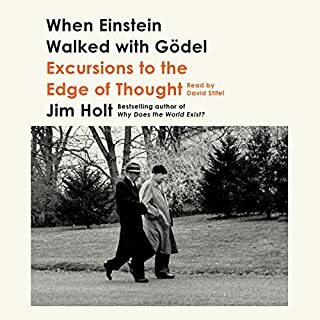 It is a great listen to anyone who wishes to know his contributions to the field of physics. The narrator was great and this makes listening excellent. Many times I felt I was present as a witness to the events being described. I would encourage anyone with interest in the biographies of scientists to hear / read this book. They will come away more informed and strengthened in their pursuit of excellence in science. The book starts off a bit slow, but it tells in a very interesting way the fascinating story of the mind-boggling genius of Enrico Fermi. 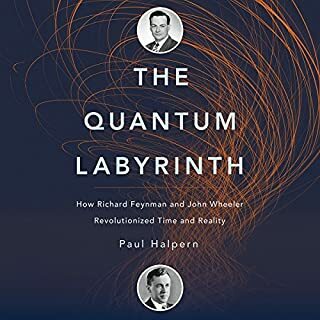 If you are a physicist or if you like physics this is a great addition to your understanding of the fascinating history of the development of quantum theory and nuclear physics. 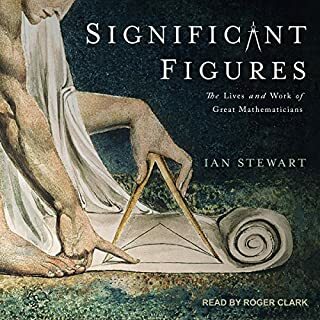 But even if you are not a physicist, it is a wonderful tale about a very impressive individual who does a lot of great things – very inspiring.